Bearded sprangletop, with its whimsical common name, has two subspecies in New England. By far the most widespread, (ssp. 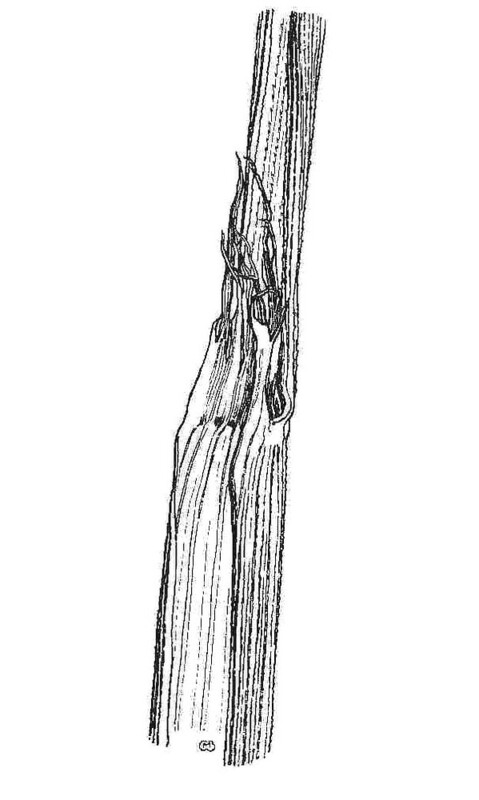 fascicularis) is native. The other (ssp. uninerva) is introduced in New England, where it is known only from Massachusetts. 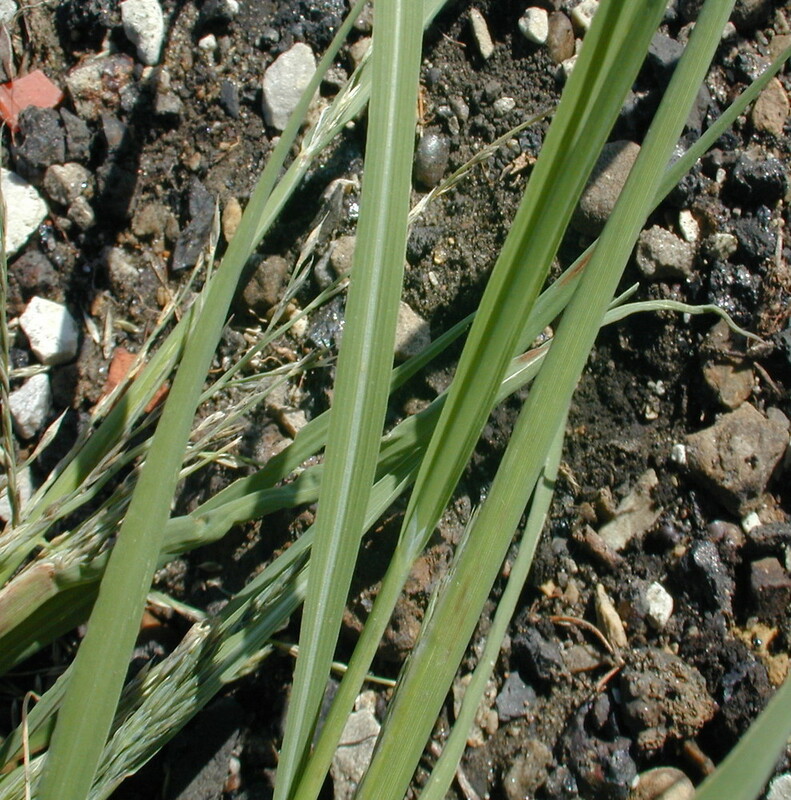 leaf sheaths sparsely to densely pubescent with pustulose-based hairs, ligule 0.6–3.2 mm long, truncate at apex, and spikelets 2–4 mm long (vs. L. fusca, with leaf sheaths glabrous or scabrous, but not pustulose-pubescent, ligule 2–8 mm long, attenuate at apex and becoming lacerate at maturity, and spikelets 5–12 mm long). 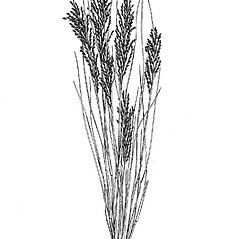 spikelets nearly circular in outline, with 1 floret or 2 florets and then the upper one sterile, and glumes cross-wrinkled, their tips crossing (vs. L. fusca, with spikelets clearly longer than wide, with 2-20 bisexual florets, and glumes not cross-wrinkled, their tips separate). Subspecies fascicularis is native and known from CT, MA, NH, RI, VT. Subspecies uninervia is non-native and known from MA. Reports of ssp. uninervia from ME (e.g., Campbell et al. 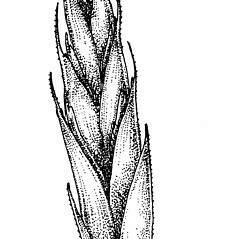 1995) are based on collections taken from cultivated plants— Sep 1896, Harvey & Harvey s.n. (MAINE!). 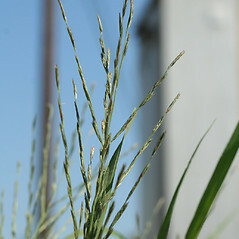 Coastal plants with long awns have been segregated under the epithet “ maritima”. 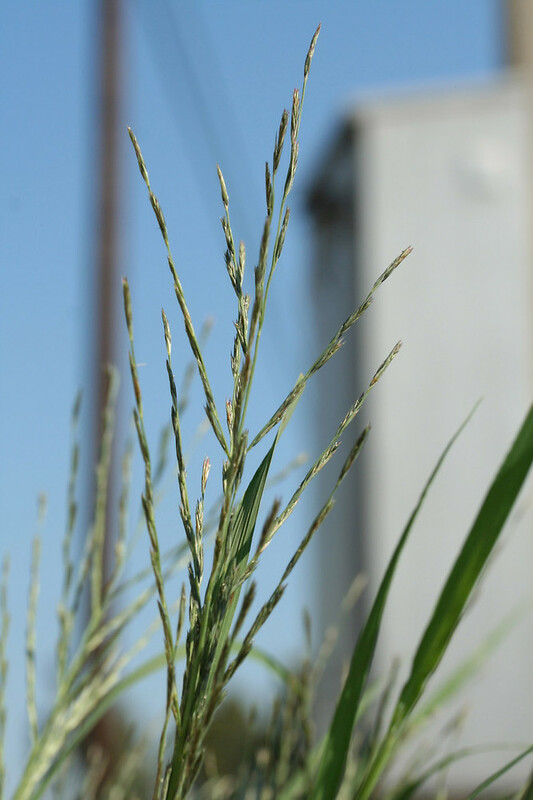 Given that awn length and salinity tolerance are known to vary within this species, these plants are best referred to as ecological variants. bearded sprangletop. 1a. Diplachne acuminata Nash; D. fascicularis (Lam.) Beauv. ; D. maritima Bickn. 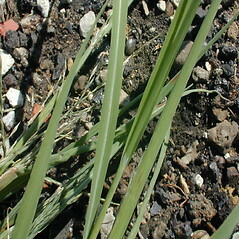 ; Leptochloa fascicularis (Lam.) 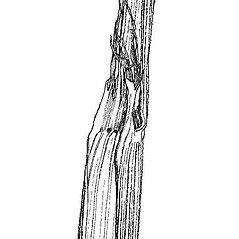 Gray; L. fascicularis (Lam.) Gray var. maritima (Bickn.) Gleason; 1b. 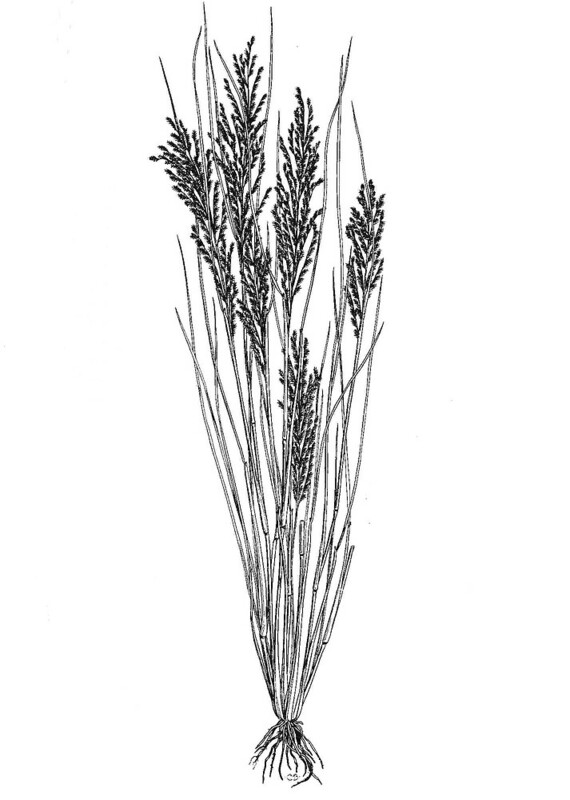 Diplachne uninervia (J. Presl) Parodi; Leptochloa uninervia (J. Presl) A.S. Hitchc. & Chase • CT, MA, ME, NH, RI, VT. Saline marshes, coastal beaches, railroads, disturbed ground. 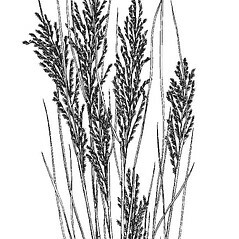 Subspecies fascicularis is native and known from CT, MA, NH, RI, VT. Subspecies uninervia is non-native and known from MA. Reports of ssp. uninervia from ME (e.g., Campbell et al. 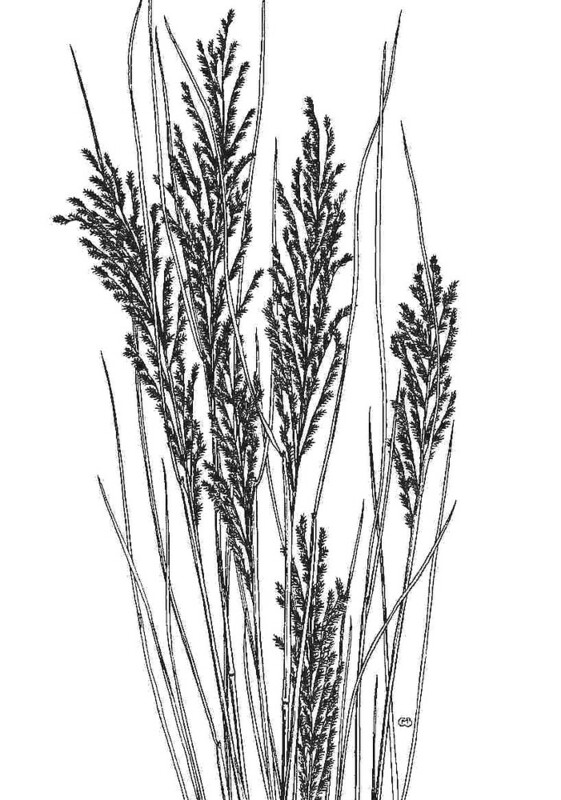 1995) are based on collections taken from cultivated plants— Sep 1896, Harvey & Harvey s.n. ( MAINE!). 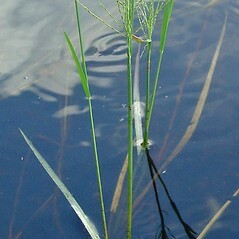 Coastal plants with long awns have been segregated under the epithet “ maritima”. 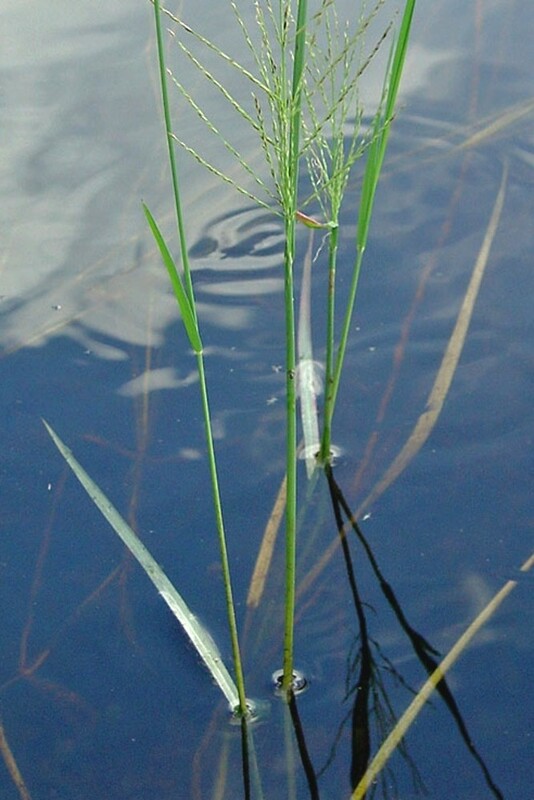 Given that awn length and salinity tolerance are known to vary within this species, these plants are best referred to as ecological variants.